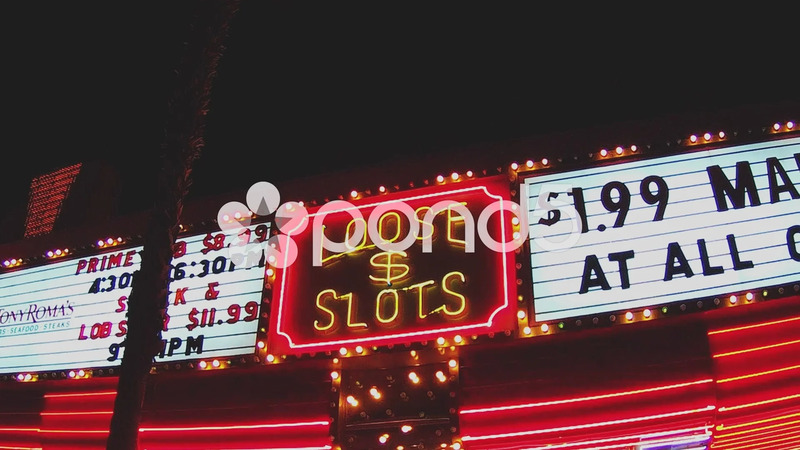 Description: Low angle shot of a casino sign advertising loose slots in Las Vegas Nevada. A marque tries to lure customers and patrons by enticing them with the prospect of easy winnings. Part of a series of clips by ChromaVid featuring signs and symbols stock video.